I’m a day late with this post – oops! I forgot which day it was! 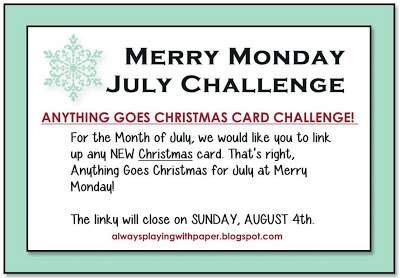 The card I’m sharing is for the last week of Lesley’s Anything Goes Christmas Challenge for July. I’m entering my card into this weeks Create with Connie & Mary Sketch Challenge. Here’s their fabulous sketch. Head over to Merry Monday and check out the gorgeous inspiration from the Design Team. Beautiful card. Love the colors and those ornaments. Beautiful Christmas card! Love the way you used the circle element! Thanks for playing the challenge at Create with Connie and Mary! Beautiful! I love those ornaments and they are really nice in the color that you have chosen!! Wow!! Beautiful Christmas card!!! So elegant! 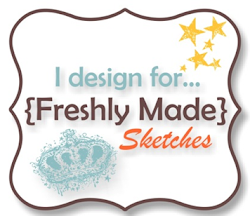 So glad you joined us for the sketch challenge this week at Create with Connie and Mary! Oh how pretty….love the deep rich color and that little peek of polka dots! Beautiful card! Those ornaments look just wonderful with the Christmas papers! 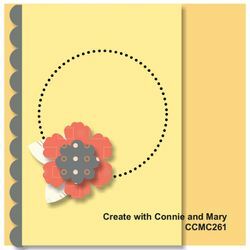 Thanks for joining us for the Create with Connie and Mary Sketch Challenge 261! Oh how fun! 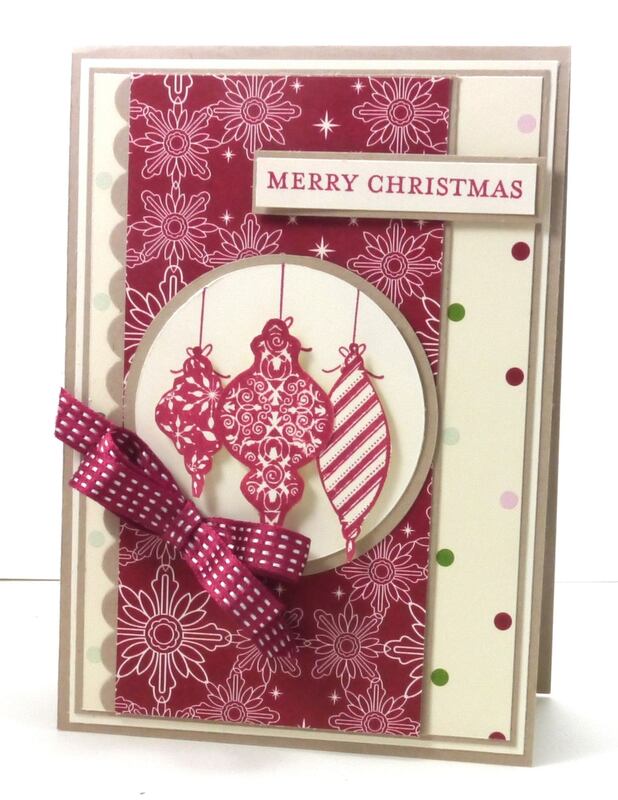 Love the little polka peeking out in the background…just a fun little edition! Thanks for playing along this week in the Create with Connie and Mary Thursday Challenge! Beautiful Narelle. The color you chose makes this card look so exquisite! Thanks for joining us this week at Create with Connie & Mary! Wow! Love those pretty ornaments and how you mixed the DSP!